In celebration of the iconic Disney character's 90th birthday! 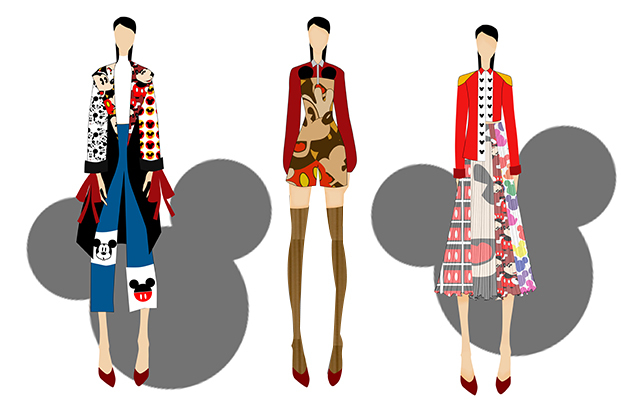 Mickey Mouse is celebrating his 90th anniversary this year, and it looks like Disney is celebrating it in the most fashionable way possible! 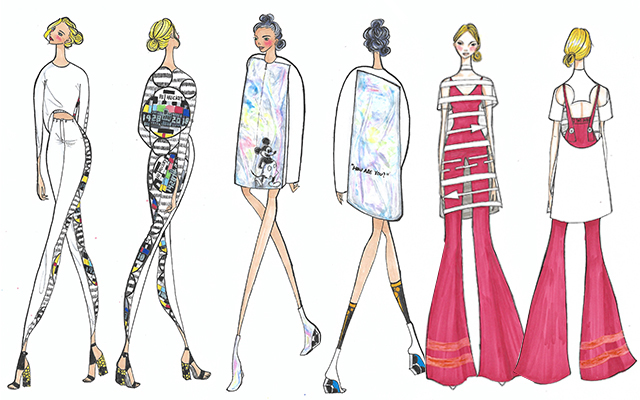 To commemorate the iconic character's big 9-0, Disney collaborated with SoFA Design Institute for a Mickey Mouse Design challenge, wherein students from the school (both current and graduate) were tasked to design a collection inspired by the most memorable Disney character in history. 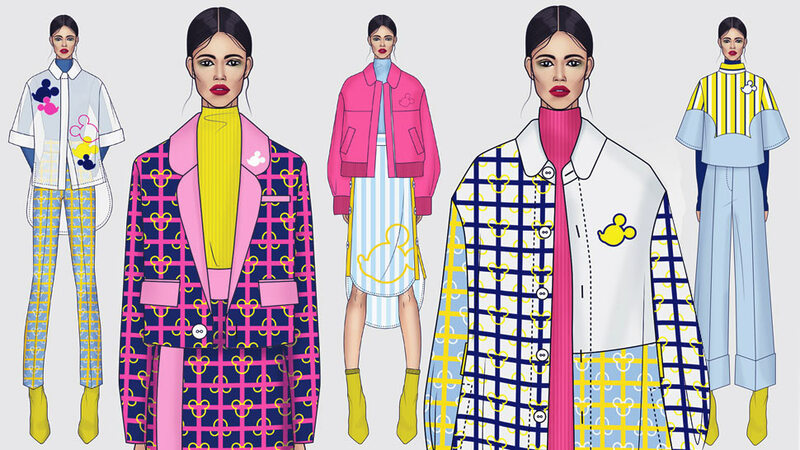 The result is an eclectic mix of dreamy designs honoring Mickey Mouse, each unique collection evoking a playful nature as each designer sought to bring about our childhood nostalgia mostly through the use of the iconic three-circle silhouette. 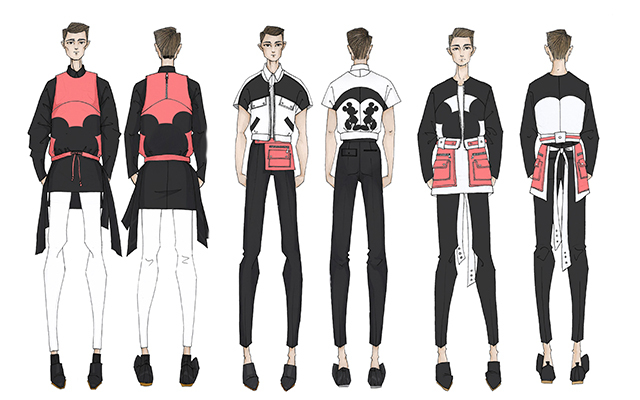 Meet the top 10 finalists as they talk about their inspiration for the challenge and check out their designs below! "Since it’s the 90th anniversary of Disney’s iconic Mickey Mouse, the first thought that came to mind was how 90th anniversaries or birthdays were celebrated. Such big and important milestones are normally celebrated in a reminiscent fashion. 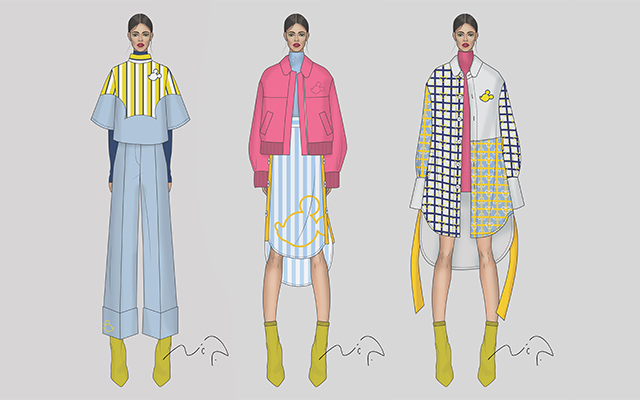 My Mickey Mouse collection is inspired by my first time watching a Mickey Mouse TV series and the feeling that I felt then, which was ‘nervouscitedness’; nervousness and excitement combined." "I focused on the following [words], attributes, or concepts that drove my perception of Mickey: dream, magical, inspire, and lead. Why those words? For me, Mickey exudes a sense of leadership over his pals; being the main character in everyone’s favorite magical kingdom, Disneyland. Also, Mickey has a lot of quotes seen on Disney’s merchandise or simply on the internet that are uplifting and is related to what Disneyland is all about. "That said, Mickey is nothing short of an inspiration to all of us. He inspires us that dreams can come true like magic. In addition, I took inspiration and reference from the film, Walt. Mickey Mouse embodies Walt’s characteristics that brought him to success. How these concepts bleed through to my collection, the ideas of 'leadership' and 'dreams' are represented in my color palette—pastel dreamy colors with a touch of deep red. 'Inspiration” 'is expressed through the embroidered words placed on the garments; 'magic' is translated through random yet creatively placed beadwork that shine on the garments. 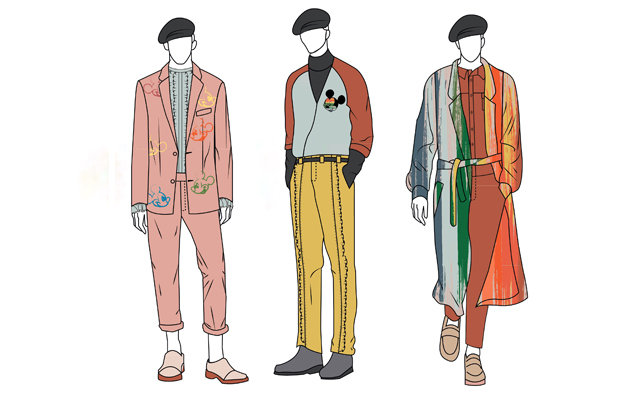 Furthermore, since Mickey was born in the 1920s and we are to celebrate his 90th year, I took fashion elements from his birth era and applied these onto the silhouettes of my garments." 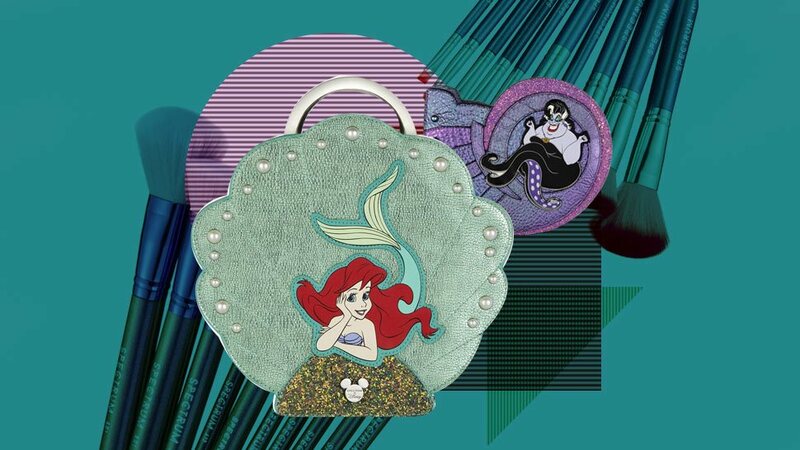 "My collection is entitled The Little Things with Mickey. It's meant to capture the nostalgic memories from my childhood. It is inspired by mundane objects that we see and experience, such as crossing the street, commuting to the workplace or school, passing by a store window display, seeing the sunset and the feeling of going home. I relate these feelings to the companionship of Mickey, which I have felt throughout my childhood and even in my adult life. Mickey has been around for 90 years and continues to create memories with more and more people. Companionship is made up of the little things in life that bring real happiness to everyone, just like [what] Mickey has done over the years." 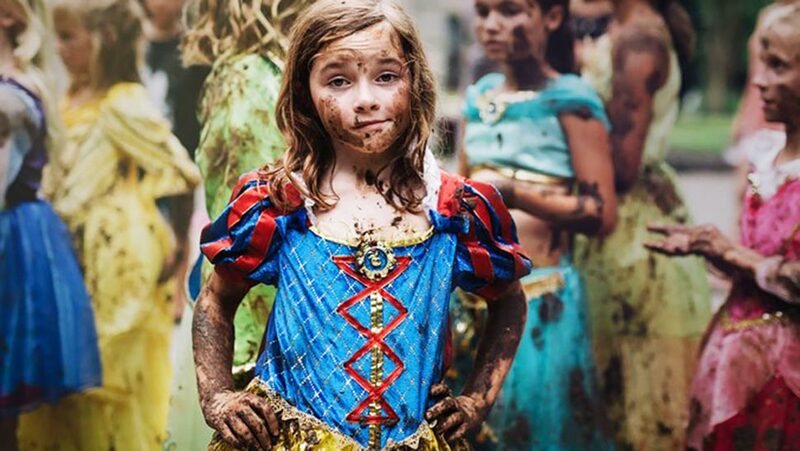 "The inspiration is Mickey’s playfulness. 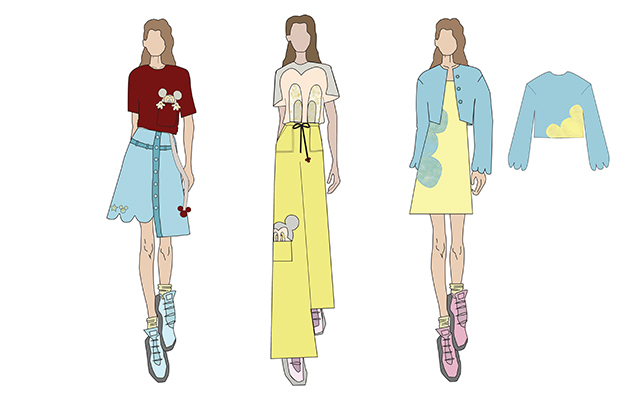 The collection is highly influenced by Mickey’s silhouette and colors. " "I saw a quote by Walt Disney that went something like, 'I don’t make films primarily for children. I make them for the child in all of us. Whether we be six or 60.' Truly, all the characters, including Mickey, that Disney created somehow stays with us. I wanted to show in my designs that Mickey is timeless and that he can be with us no matter what age we are. I’m a student who is about to finish studying and is close to officially entering adulthood. The collection is inspired by that meaningful transition from childhood to adulthood which symbolizes facing bigger responsibilities and roles, but never letting go of your inner child. Hence, the collection features corporate-inspired silhouettes since this setting always comes to mind when I think of 'adulting.' However, I offset this with bright, playful colors, and oversized prints and elements to evoke that feeling of never letting go of your inner child. " "Mickey is more than just a fictional character to me. He was and will always be a friend not just to me but to millions. I got inspired by him and his philosophical representation of happiness and bravery. From his humble beginnings in Steamboat Willy and up until now where he has become a world-renowned icon, he continues to illuminate us and has been living the true measure of happiness." 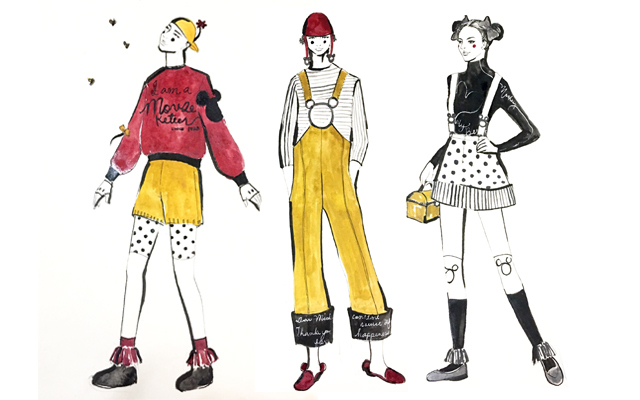 "My inspiration for this collection is the timeline of the iconic Mickey Mouse looks, namely the nifty nineties, the simple things, and the marching band. 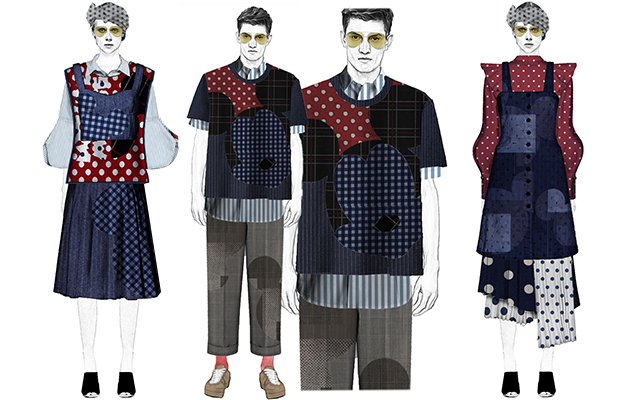 These designs somehow give the wearer that nostalgic feeling of Mickey being a part of their childhood. It feels just like opening a trunk full of your childhood stuff!" "Aside from being fun and adventurous, Mickey also represents loyalty and friendship. 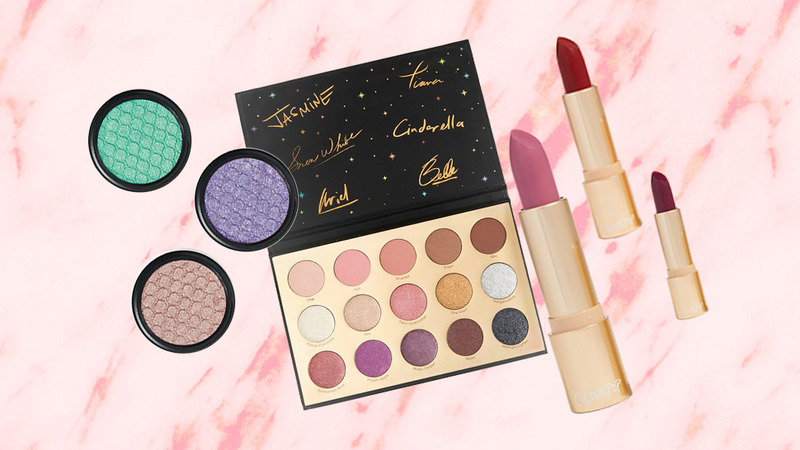 That is why for this collection, I wanted to do something that celebrates that fun and adventurous side of Mickey while also paying tribute to Walt Disney. This collection is inspired by Walt's journey, that is why I took a lot of vintage references from the '20s up until the '60s. 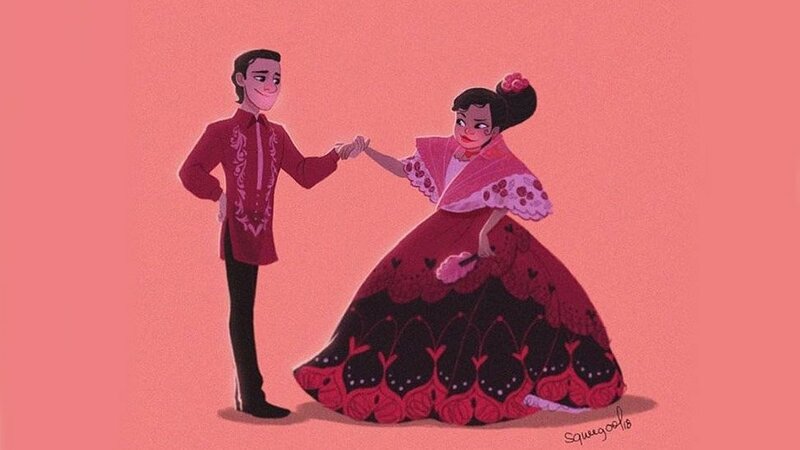 I likewise added a lot of sartorial and utilitarian elements that are inspired by the corporate/business side of the film and animation industry. 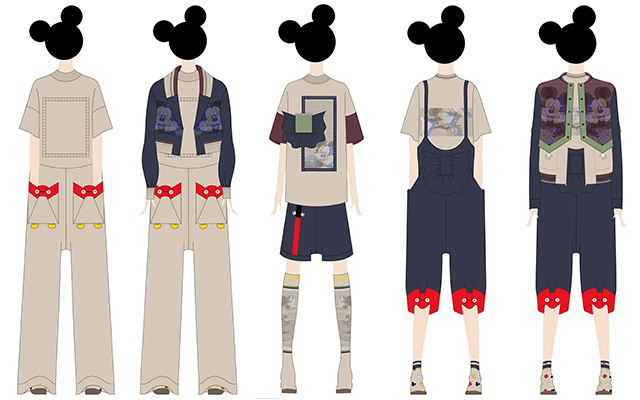 Taken from the concept of hidden Mickey, I also added infused subtle Mickey Mouse prints throughout the collection that represents the fun, adventurous, and mischievous side of Mickey Mouse." "In the past few months, I found myself really sad, confused, and emotional most of time. My mind has been clouded with so much negative thoughts and has affected a lot of aspects in my life. It has been hard and heavy; every day has been dreadful. It has been so heavy that I realized I have to change my perspective, because I realized that no one can help me but myself. I wanted to change; to be a person who is as optimistic, silly, and energetic as Mickey. I wanted to mirror a positive and bubbly personality like that of Mickey’s. 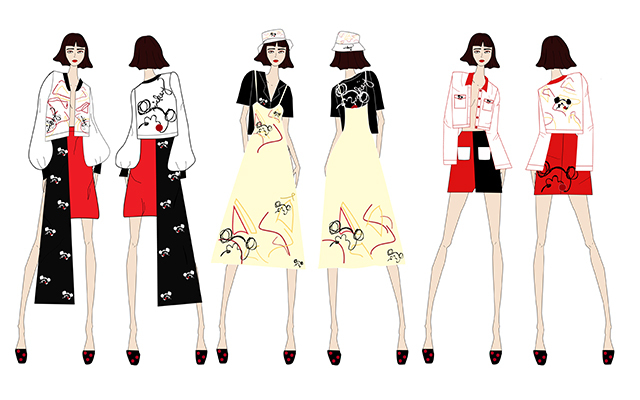 "In my collection, I made line prints of different shapes as a reflection of my confused self, and rendered these elements in red and yellow to represent the happy personality that Mickey radiates, which we have all come to love. Also, as a designer who would describe her aesthetic to be minimalist, I manipulated the same line elements to form the silhouette of Mickey to represent change." 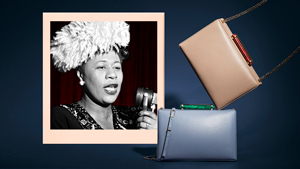 "This collection is inspired by my childhood. I grew up with the freedom to express who I am, but at the same time, I felt pressured to label my identity. As a designer, I want my brand to be gender neutral. I didn’t want to focus on a specific gender and put a restriction on what I can do based on this. I wanted instead to emphasize the transcending power behind the idea of gender. The playful yet muted colors, which I infused in the collection, and the classic silhouettes that I married with elegant details evoke the pleasant and nostalgic memories of my childhood." Announcement of winners will be held through a fashion show on Mickey's birthday on November 18 at the Ayala Triangle. 10 Freddie Mercury-inspired Pieces To Buy If You Loved "bohemian Rhapsody"